If you didn't know, there are birthday items for every year you turn on Pandanda! Recently, I have discovered a member rocking the new four year birthday item! Want to see what it is? Check out the spoiler below. OMG SOOO COOL! the gifts are sooo cool! And how did u do that spoiler thingy... sooo cool! [quote="Robot"]If you didn't know, there are birthday items for every year you turn on Pandanda! 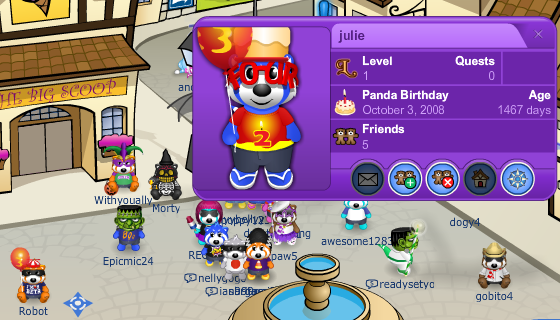 Recently, I have discovered a member rocking the new four year birthday item! thx 4 ur positive comment and im sure u will get it too. They should really have birthday pants! Oh thats cool how did u get that? What the pictures or the 4th Birthday item? Subject: Re: New Four Year Item!